Whenever I find myself in a new place, I usually ask for a popular breakfast joint - good cheap food that is filling. Dumaguete has the Painitan section for great budbod. 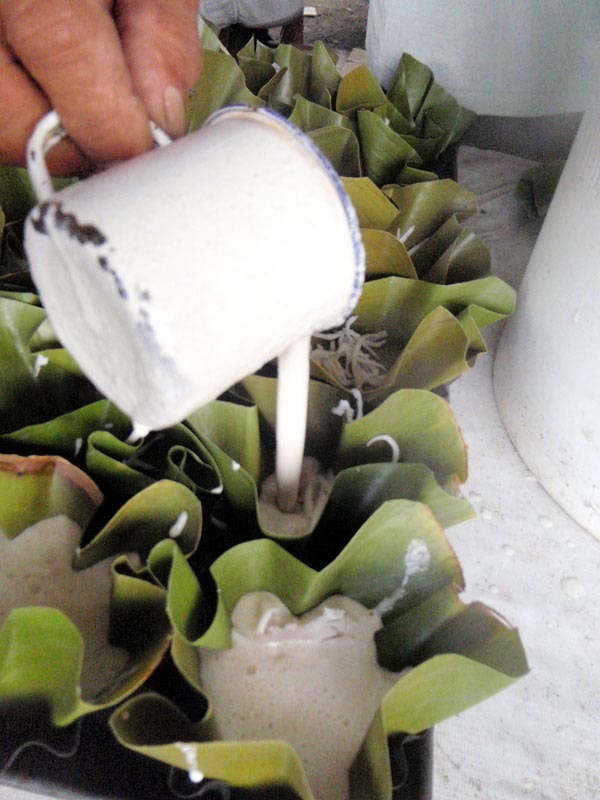 Davao's Bankerohan Market has kinutil, baterol tablea and puto maya. Cebu has the chic Le Cafe. Gen San? I asked, and there was no place they could identify. 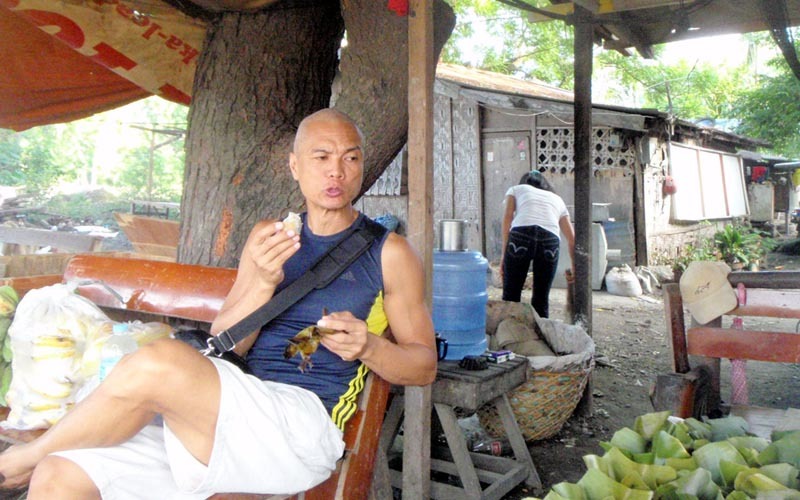 While exploring the main drag in Purok Malakas near Marichi Yoga House where studio owner, Helen Prieto gave me a roof over my head, I came upon a mature coconut grating place. 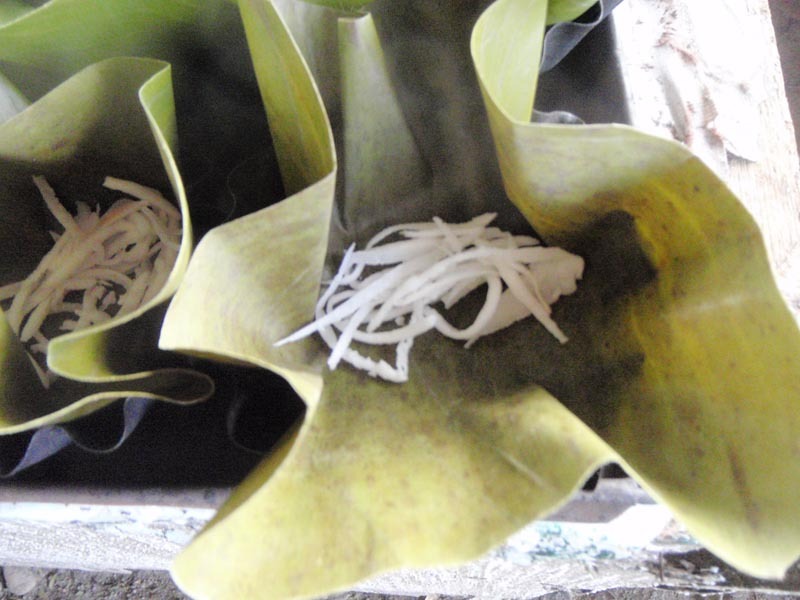 Traditionally, nobody cares for the juice of mature coconuts - it's just discarded. 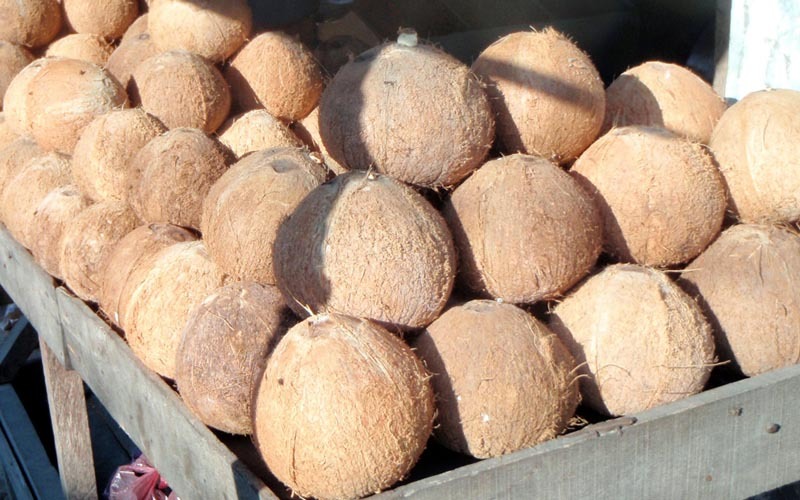 To me though, mature coconut juice is more nutritious if not as sweet. 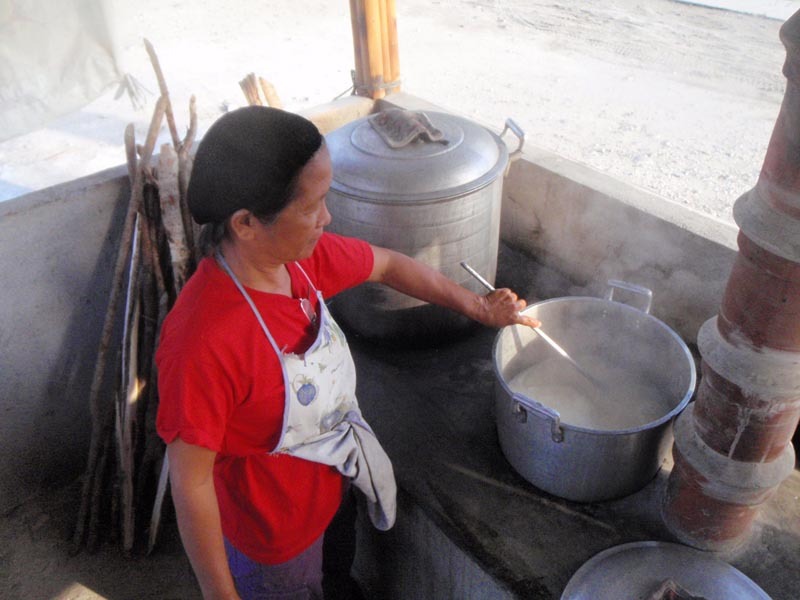 When I stopped by Ate Nening's Coconut stall near the public market, I was able to get a full liter. Whoa! How's that for a morning digestive flush? 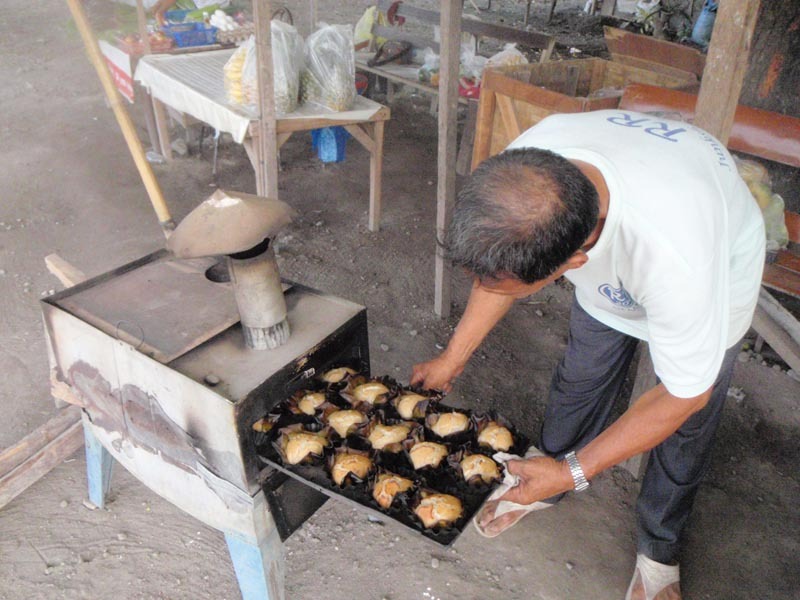 Walking a few steps after Savemore, I noticed a man tending to his wood burning stove. 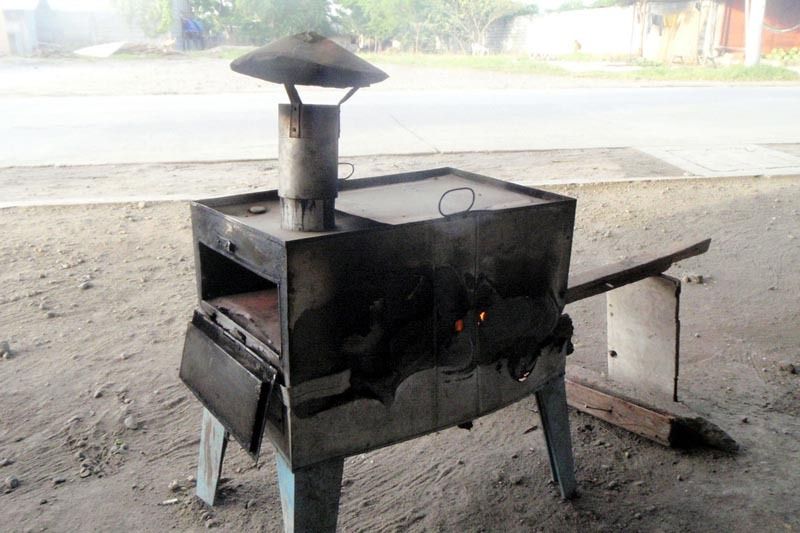 It was Mr. Bobot who was making his first batch of bibingka. 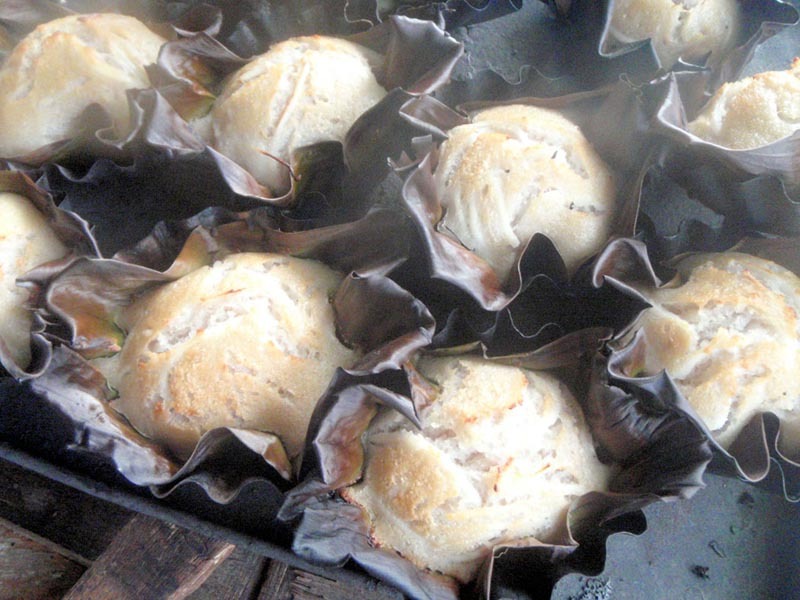 I've tasted bibingka before - but his was special. 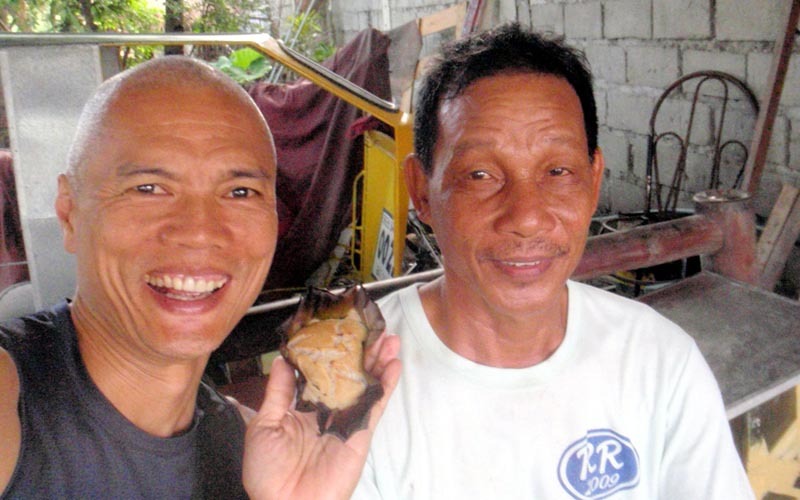 I also tasted his Tupig (grilled suman) - again, there was a distinctive taste to it that I could not find in ordinary commercial budbods. Both of them were a keeper. I just sat in one of the seats in his roadside stall and helped myself with his bibingka and tupig as I washed them down with my coconut juice. Whoa! Life's simple pleasures could not have been more indulging. I love goat meat, but it was too early for a full meal. 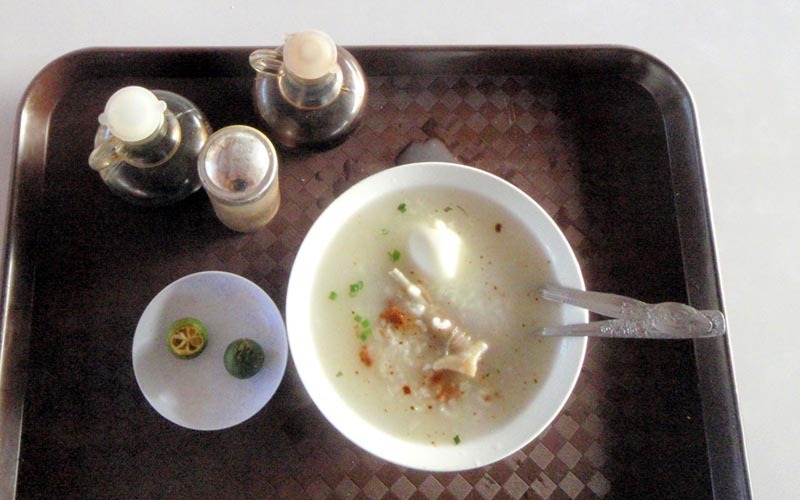 They always have the traditional comfort food, arroz caldo. What better way to spend morning breakfast? Still full from my bibingka and tupig, I helped myself to an order. It was satisfying as it was reassuring. Again, another home run! Perhaps a place may not have a default popular breakfast joint but it doesn't mean you can't piece together a few establishment to tailor-fit one that works for you. I'm fortunate to have discovered a few at Purok Malakas. I'm sure every Purok has a few hidden gems neatly tucked away for discovery to anyone curious enough to go looking for one. Mature coconut juice fresh from the shell, hot off-the-oven bibingka and tupig, and stove-top arroz caldo to start my day...a total of P55 altogether. Indeed, life is good to those in search of the good life. 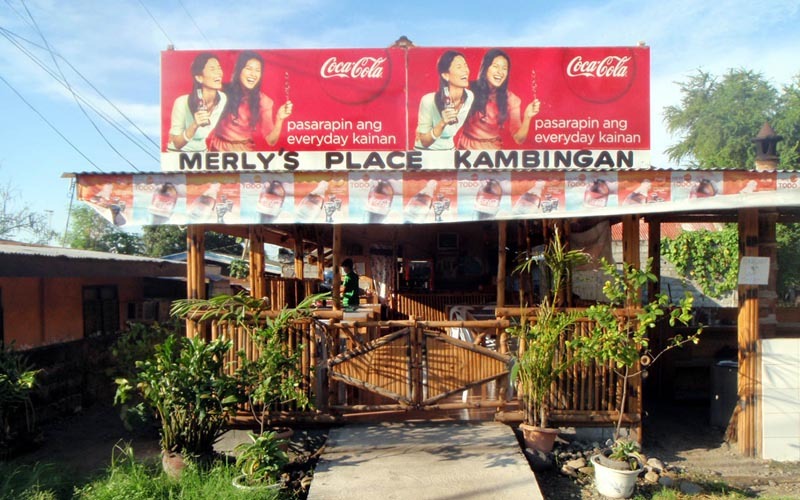 Merly's Place Kambingan P35/arroz caldo order, open as early as 6:30am. 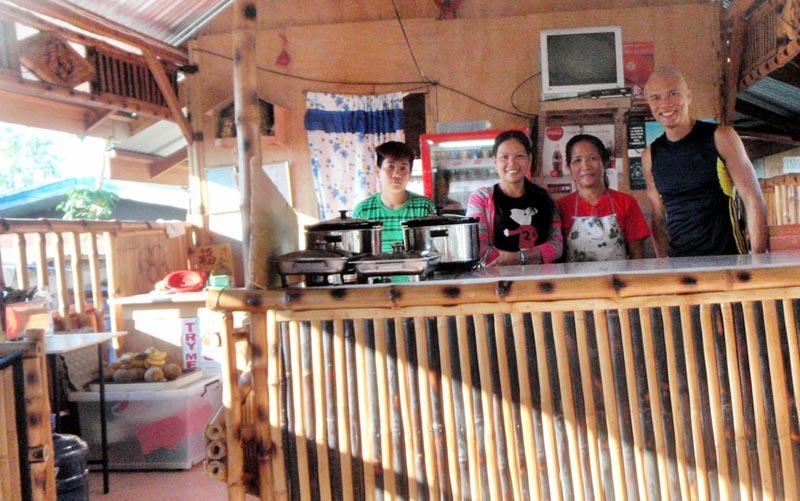 You can also try different goat dishes - kaldereta, papaitan, kinilaw and sinampalukan. take a tricycle and ask to be dropped off at Savemore Supermarket, Purok Malakas - P30/pax if you hire the entire tricycle (otherwise it's P10 for regular fare). Beside Savemore is Manong Bobot's Bibingka and Tupig. 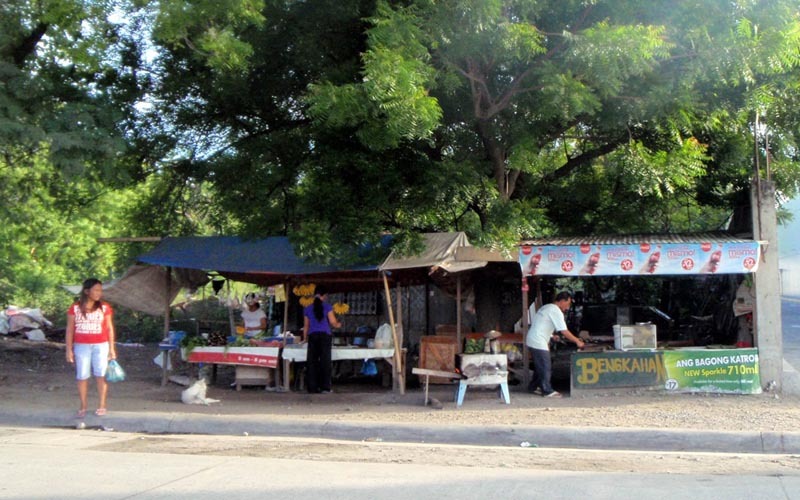 Across the street is Merly's Place Kambingan. 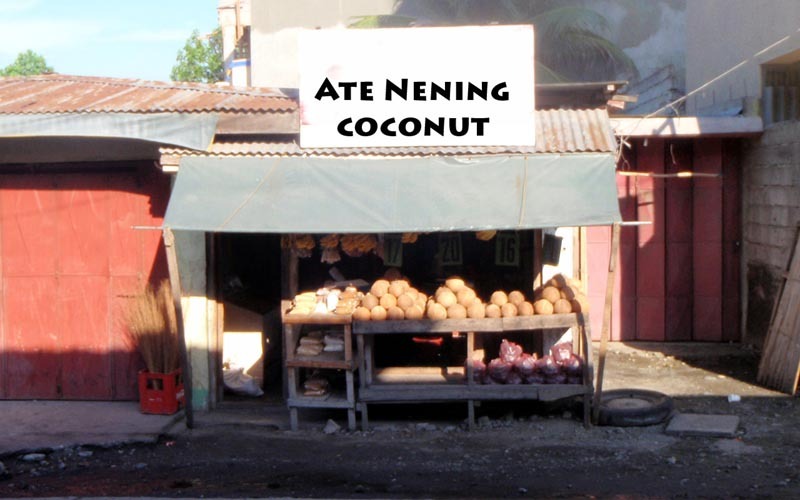 Ate Nening's Coconut is a short walk towards the market...just ask around.